How’s that new real estate logo coming along? Whether you’re creating a new logo from scratch or trying to figure out how to design a team logo that works well with your brokerage, you’re going to need some inspiration to get it right. After all, the quality of your logo says a lot about you and your brand and makes a first impression on potential clients. 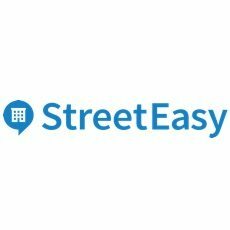 If you want that first impression to be a lasting one but don’t want to design a logo yourself, Tailor Brands is a quality, inexpensive logo design software that will build a unique, appealing logo for your business. It asks a series of questions before it generates a few logos for you to choose from. Click below to start designing your logo. Founded in 1980, Stribling focuses on high end properties in New York City and 48 countries around the world. By using a simple but elegant script, Stribling’s logo brings to mind the New York art and fashion world. Like any great logo, it works well in black and white, but it’s generally used in a bold, primary red. Red denotes boldness, passion, and desire. Perfect for a market where a Central Park view can easily double the price of an apartment. 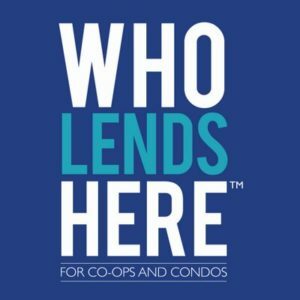 Since Compass was founded as a venture capital backed startup, they have always focused on one thing: using technology to make real estate transactions more client friendly. While they’ve shifted gears from their goal of disrupting the real estate industry with a hybrid model to a full fledged luxury brokerage, their branding has stayed true to their startup roots. Note how the slash in the “O” in the logo represents the needle of a compass. Founded in 1968 as a small family owned business, Two Trees has risen to dominate the exploding North Brooklyn real estate market in hotspots like DUMBO. Recently, they’ve even made forays into Manhattan with sprawling luxury development Mercedes House. Thankfully, they haven’t forgotten their roots. 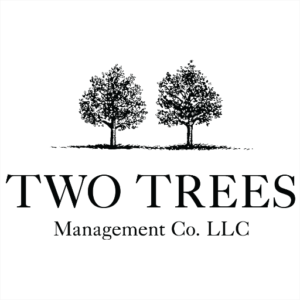 Two Trees still uses the same gorgeous and friendly logo they’ve used from the beginning. 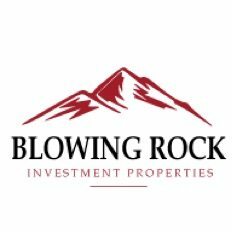 Using nature as a theme, whether it be palm trees in Miami, seagulls in Cape Cod, or mountains in Colorado have always been used to give real estate logos a sense of place. If you use a nature theme in your logo, just make sure it either reflects your name (e.g. Two trees) or is representative of your local area. 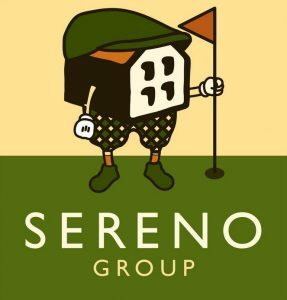 Here are some more great real estate logos that use nature themes. Notice how each natural element they use not only represents their geographic area, but also gives the logo a different feeling. This is a great example of how important nuance is to creating strong brand marks. A whale can be drawn as intimidating or imposing, but for Daniel Gale’s logo, it looks friendly and almost cute. This is not accidental. 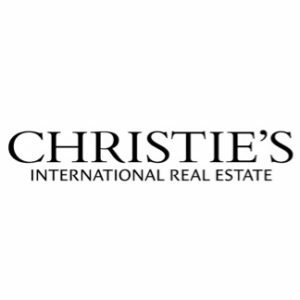 Christie’s logo is a perfect reminder that simplicity is almost always more elegant and more effective than complicated. This logo elicits trust, and makes almost everyone think of a company that has been successful for many decades. 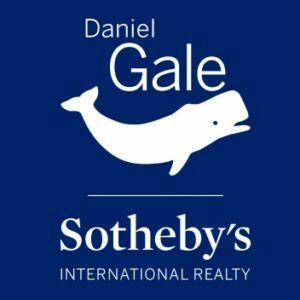 Yes, it’s very traditional, but many people are looking for a very traditional brokerage.To get a better idea of why a traditional logo works so well for a brand like Christie’s, have a look at Sotheby’s logo. Notice any similarities? Unlike London or New York, “traditional” means something a little different along California’s legendary Big Sur, which was sparsely populated and wild until fairly recently. Its branding history goes back to the arts and crafts movement of the turn of the century, which this logo takes heavy inspiration from. The only potential drawback here is that this logo will lose a bit of punch in black and white. 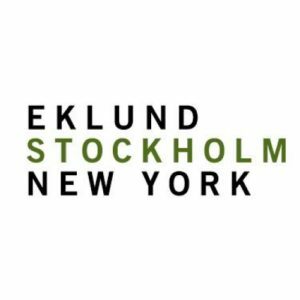 It’s no surprise that Million Dollar Listing’s Fredrik Eklund has an amazing logo that fits his brand to a T. His logo is minimal, hip, and sophisticated. This logo wouldn’t look out of place on the letterhead of a slick Manhattan ad agency. Perfect for his brand. 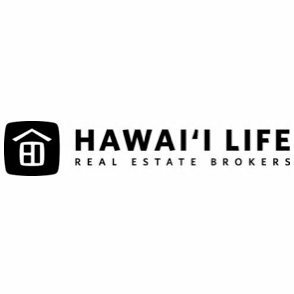 Hawai’i Life’s logo manages to to look modern and professional while still staying true to their Hawaiian roots. 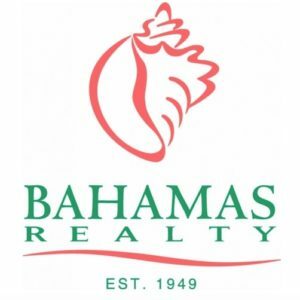 It’s very, very easy to lean toward kitsch with any logo for an island community, but they managed to combine professional and traditional Hawaiian with ease.This logo proves just how crucial the right font is for a great real estate logo. Note how the letters are very subtly off kilter instead of square. 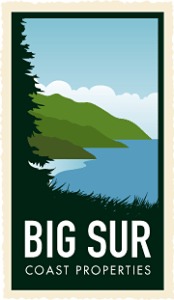 This gives the logo a little bit of movement and perfectly captures Hawaiian aesthetics, at least to my eye. Actually it probably does to real Hawaiians as well because Hawai’i Life is one of the most successful brokerages in Hawai’i. Are you surprised that we would include such a “boring” logo on our list? Don’t be. The whole point of a logo is to communicate something about your brand without saying a word. 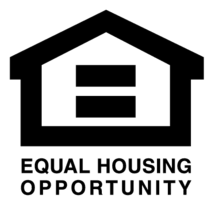 This can be a lot harder than it looks until you finally nail it, and then it looks totally obvious.The Equal Housing Opportunity logo does just that and does it well with the equal sign inside the house. Think of trying to navigate a foreign country. How do you know the logo for the hospital, police, and bathrooms? Someone very clever designed them so that you don’t even need to speak the language to understand them. 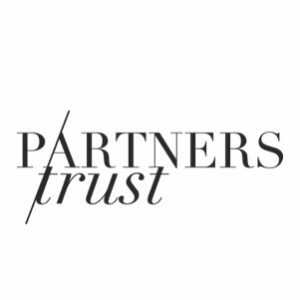 Partners Trust uses a cutting edge (literally) design sensibility for their gorgeous logo. Simple and clean, it makes me think of an unbelievably cool fashion brand, which fits their brand perfectly. One of many things Vandenberg’s devotees love about turn of the century homes is their intricate plasterwork and woodwork. Carved newels, seashell moldings, and floral ceiling medallions are like catnip for any vintage home lover.Since they specialize in turn of the century townhomes in Manhattan, using the graphic language of Victorian woodwork was a very smart move for Vandeberg. Not only that, it makes a very beautiful logo that anyone can appreciate. Staying culturally relevant for more than 100 years is no mean feat in any industry, let alone the blood sport that is Manhattan real estate. Luckily for graphic design fans everywhere, Warburg Realty’s branding and logo have managed to embody their historic roots and yet somehow feels fresh and on trend for 2018. 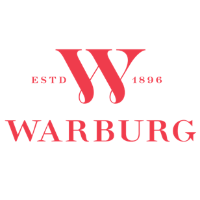 Like their luxury counterparts Stribling, Warburg uses a warm primary red for their logo that brings to mind the timeless elegance and romance of real estate in the big apple. 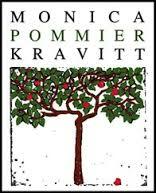 As a graduate of Pratt and Parsons School of Design, the fact that former designer Monica Pommier Kravitt has a great logo is no surprise. Besides being (very) easy on the eyes, it also perfectly suits the pastoral Hudson Valley area where she sells homes and estates. 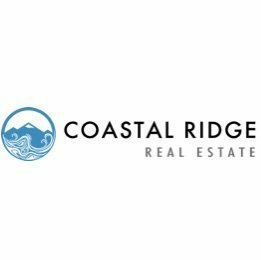 Ohio and California based multi-family developer Coastal Ridge Real Estate uses a lovely, almost Japanese looking brand mark to convey a sense of prestige (the mountain) and movement (the river) that seems to perfectly sum up what a great developer does. 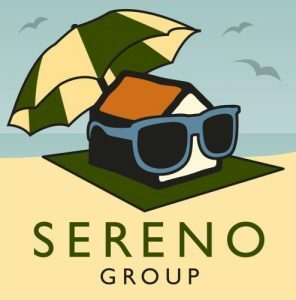 By now, you may be starting to realize that this list of great real estate logos is a bit heavy on New York City brokerages. While this may be partially due to the fact that I spent 5 years working as a New York City agent, quite honestly I think I would have gravitated toward these brands anyway. 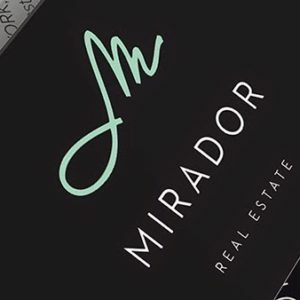 Since we’re home to Madison Avenue with the greatest concentration of advertising talent on the planet, it only follows that New York brokerages have some of the best branding.Mirador Real Estate is no exception. 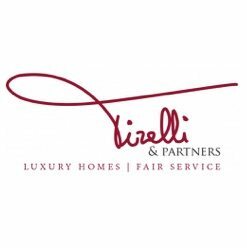 Using an elegant signature perfectly captures the essence of a brand that focuses exclusively on high end Manhattan real estate. 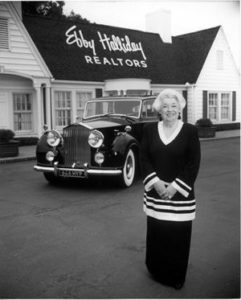 Ebby Halliday was a Texan legend in the real estate industry and beyond. Not only did she create an amazing brokerage that still thrives to this day, but she was also one of the first successful female entrepreneurs in Dallas. 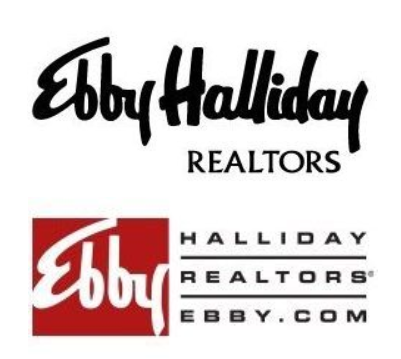 Her original logo (on the left) is pure 1950’s glam and works just as well in the updated version (on the right) that the company uses on their online branding today. This is a perfect example of the timelessness of a great logo. 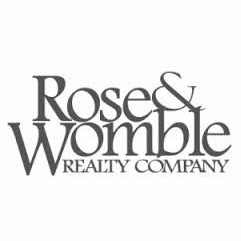 Virginia based brokerage Rose and Womble has a lovely looking traditional logo that conveys a sense of trustworthiness and prestige. Unlike say, Sotheby’s logo, it doesn’t seem to take itself too seriously. While I love Elliman’s branding and advertising, I always found their logo a bit too… busy. Don’t get me wrong, it looks great, but there’s just too much going on for it to have a powerful visual impact. Their brand mark on the other hand is another story. It reminds me of other classic monogram brand marks from Louis Vuitton, Bugatti, and Chanel. As you can see from their Twitter icon above. Here’s how great a monogram brand mark look on Twitter. Something to keep in mind when designing your logo. Wisely taking their branding cues from their parent company Douglas Elliman, Manhattan’s top producing Alexander Team’s monogram brand mark makes perfect sense for a luxury team dealing in eight figure properties. 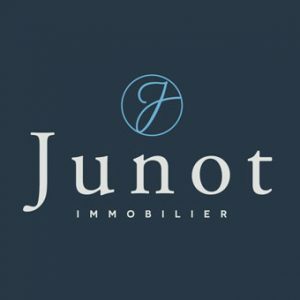 Okay, let’s change gears a little and check out a logo from Parisian brokerage Junot. Timeless serif font, script monogram and great color really packs a punch here. Based in Jupiter and Palm Beach, Florida, Waterfront Properties wisely went with an aquatic theme for their logo. The sea turtle brand mark and the turquoise and cerulean blue coloring scream ‘fun in the sun’ and the relaxed pace these beach communities are famous for. Manhattan supertall luxury development One 57 went with a classic New York City font for their stacked and elegant logo. 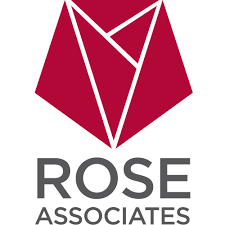 Manhattan mega developer Rose Associates manages to take something delicate and beautiful like a flower and combine it with high tech to suit their current portfolio of soaring luxury highrises in Manhattan. 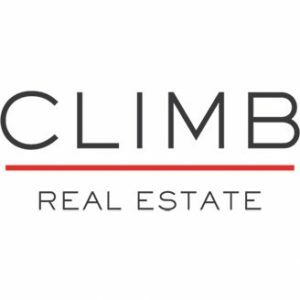 San Francisco’s Climb Real Estate went elegant and simple with their logo. A thin sans serif font and a simple red line just works perfectly for their brand. Yet another case where primary red and bold typography win the day. 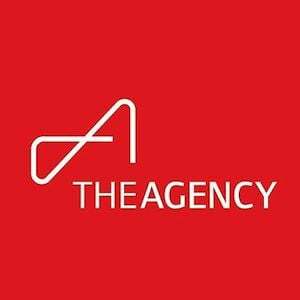 Los Angeles’ The Agency’s logo looks hip, modern, and well, expensive, all at the same time. Their stylized A monogram brand mark does kind of look like a paperclip though right? Not sure if this is intentional (guessing no), but digging it anyway. 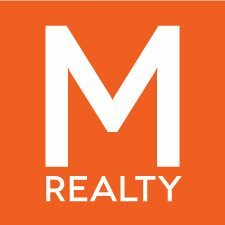 Portland’s M Realty went with a superhero worthy bold initial and vibrant orange background for their logo. No chance of these logo’s getting lost on a sign! Isn’t that part of what great branding does? 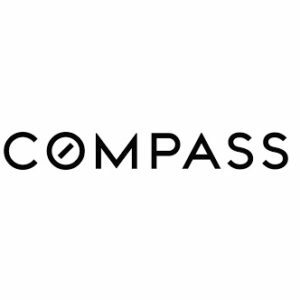 Another great monogram logo from Manhattan’s Victoria Schtainer team at Compass. Clearly influenced by the YSL logo, but in cool way. Elegant, cool, what’s not to love here? 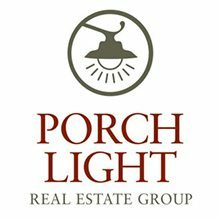 Denver, Colorado based Porchlight Real Estate Group has a logo than manages to feel fresh and modern yet very traditional at the same time. Perfect for a city that is undergoing as much growth and development as Denver currently is. 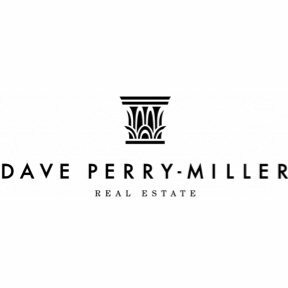 Dallas based Dave Perry-Miller uses elegant fonts and a lovely corinthian capital as his brand mark. Considering his company is a division of Ebby Halliday, it’s no wonder they take branding seriously. As a former Tishman Speyer employee, I’ve spent many hours in Adobe Creative Suite trying to incorporate this logo into print advertising. In the vast majority of cases, it looks absolutely incredible. Whether embossed on folders or printed with metallic ink on letterhead, the logo looks as elegant as it does here. Milan based Tirelli & Partners has a gorgeous script logo that includes more traditional fonts as well. Perfect for a luxury brand that works in a city that straddles the ancient and ultra modern like Milan does. 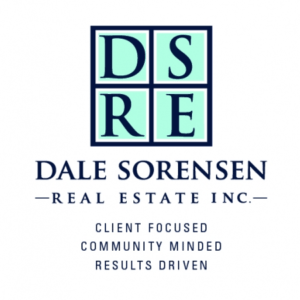 Vero Beach, Florida based realtors Dale Sorensen wisely combined classic Florida colors (turquoise, blue) with an otherwise very traditional looking logo. The effect is perfect for selling high end Florida vacation homes. Luckily, that’s their speciality.Note how they use the same color theme as Waterfront Properties, but here it looks more traditional. This is a perfect example of how fonts and layout can dramatically change the feel of a logo. 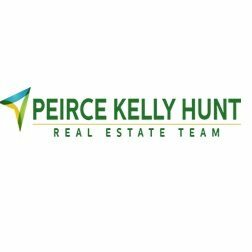 If you’re starting up a real estate team, figuring out your logo can be tricky. After all, you want (okay, need) to trade on the brand of your brokerage, but still want to differentiate yourself with your own brand. One of the best solutions I’ve found is to just combine the two. The easiest way by far is to combine them like the examples below, but you can get creative if these don’t work for your team’s needs. There is only one secret to getting a great logo and I’m going to tell it to you right now. Ready? That’s it. While you or your cousin’s nephew’s coworker may understand how to make a logo, this is akin to attempting to cut your own hair for your wedding day just because you know how it’s done. I think we can all agree that although it may not be a complete disaster, your special day is far too important to leave in the hands of an amateur. Feeling inspired yet? Click here to design your own logo. 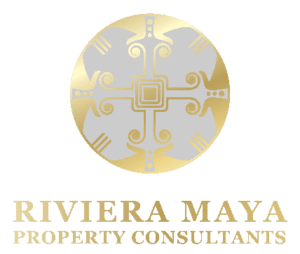 Our real estate business, Riviera Maya Property Consultants, is based in Tulum, Mexico, a region with a deep Mayan heritage. The logo honors Mayan heritage – basically, the whole logo is an interpretation of a Mayan symbol, meaning wealth and abundance. The gold gradient color stresses the meaning of wealth, richness, and sophistication, which we strive to represent and to convey to our clients. 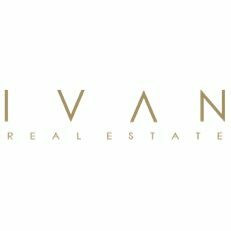 When I went through the process of designing my real estate logo, I had to capture the luxury essence of the brand but create something unique. Typically the luxury logos tend to utilize cursive and elegant older-style writing. I went with the complete opposite, using simple lines and a stylized A to achieve a bold, but sleek and recognizable, style. Great descriptive logo. Says exactly what the site delivers. Strong colors. The dream sail represents our area of Hilton Head-Bluffton, South Carolina. The blue and green colors represent the visualization you see in our area of pristine beaches and abundant greenery. The shape itself represents a forward motion with the upward sail/arrow, which points to the true north. The shape could also be seen to represent the edge of a house. 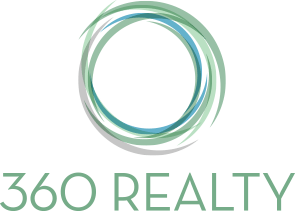 The reason I like this logo is because 360 Realty is a full-service firm and the logo is a circle. Just like a circle and 360 degrees, their services have no end. 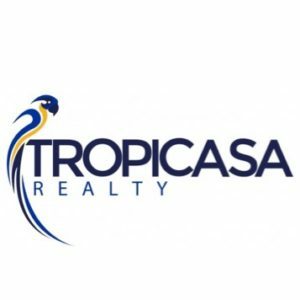 What are your favorite real estate logos? Let us know in the comments. Amazing and great ideas I have ever seen in my career. I love these ideas. I have also created but these are awsome. Great article and great logos and great advice. Glad you found the article useful and thanks for stopping by. PS we are launching a new site called The Close in the coming months which will have lot’s more real estate branding articles. Sing up for the email list to see the latest and greatest articles first. has a good logo, if I say so. Maybe a tiny bit too busy for my tastes, but otherwise pretty great. Reminds me of the Halstead logo. Such lovely and sophisticated designs. Very impressed! Thrilled to see our new Leading Real Estate Companies of the World logo recognized here and loved seeing so many of our member firms represented, including your #1 choice, Stribling & Associates! Glad you liked the article and love the new branding.